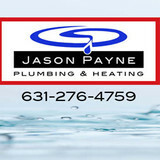 We are a local family owned and operated plumbing & heating company. 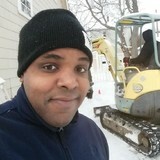 Serving the Hamptons’ plumbing & heating needs. Our competitive pricing and excellent references followed by our quality workmanship, honesty and exceptional service put us in a class of our own. From new construction to simple renovations we have been committed to the quality and service our clients deserve. Wether we are working with a your Contractor, Care Taker, Architect or directly with the Homeowner, our professionalism and honesty stay the same. Meet Griswold Plumbing Services, LLC, CT's Expert Well Pump & Water Treatment Specialists, Griswold Plumbing Services of Chester and Middletown, CT is your expert and award-winning well pump and water treatment specialist. We proudly offer plumbing services to residential homes throughout Middlesex County and portions of New Haven County, New London County, Hartford County and Tolland County in Connecticut (CT). With our well-trained, reliable staff of water specialists and plumbers, we pride ourselves in providing quality workmanship and bringing you the best value. This is a testament to the hundreds of positive reviews and testimonials from our customers and being awarded the Angie’s List Super Service Award over the last 5 years. Plumbing and Heating Contractor with Retail Showroom and Home Improvement Remodeler..
USA Plumbing & Heating Inc. 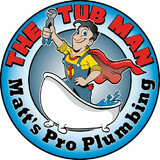 Residential and Commercial plumbing and heating service that has been serving the Long Island area for over 20 years. A plumbing contractor handles the installation and repair of water, sewage and natural gas pipes throughout a home, as well as interior and exterior faucets and fixtures. Plumbing contractors are also trained to work with water mains, septic tanks, laundry appliances, water heaters, sump pumps and other plumbing and pipe systems. Because plumbing repair work is done largely behind walls and beneath floors, some plumbing companies can also patch or replace tile, stonework and other surfaces. Although some Water Mill plumbers are generalists, others specialize in specific areas; a 24 hour emergency plumber will handle urgent residential repairs, while others may be more skilled in remodeling, natural gas lines, overhead sprinkler systems and more. 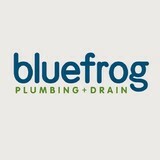 Find a local Water Mill plumber on Houzz. Narrow your search in the Professionals section of the website to plumbing contractors in Water Mill, NY. You may also look through photos of Water Mill, NY projects to find a licensed plumber who has worked on a project similar to yours. Here are some related professionals and vendors to complement the work of plumbers: General Contractors, Septic Tanks & Systems, Kitchen & Bath Designers, Kitchen & Bath Remodelers.